Bytecoin (BCN) is an open-source, anonymous cryptocurrency that was released in July of 2012. It was the first altcoin to use the CryptoNote technology to give users more privacy when sending and receiving transactions on the network. CryptoNote is a separate open-source project that is focused on making cryptocurrency transactions untraceable and anonymous. Zero-fee instant international payments: the Bytecoin network is as fast as the internet. Payments are processed every 2 minutes, making a faster alternative than Bitcoin. Security: the developers claim Bytecoin uses the most secure and modern cryptographic algorithms and is virtually “impossible to hack” because that would require an immense amount of electricity and computational power. Privacy: all information about financial operations and wallet balance is completely private unless a user chooses to reveal those details. Bytecoin has a maximum supply of 184.47 billion BCN. The circulating supply increases every 120 seconds as a new block is added to the chain. In theory, BCN is supposed to become more valuable as more coins are added to the pool. Like many other cryptocurrencies, the value of BCN rose significantly in 2017 and reached an all-time high of $0.0053 USD on May 21 with a market cap of $977.8 million USD. Its value dropped shortly after but hasn’t gone back to pre-2017 prices. In December 2017, the total circulating supply of BCN reached 183.25 billion with a market cap of $489 million USD and a 24-hour trade volume of $7.1 million USD. Bytecoin has consistently ranked in the top 100 crypto assets by market capitalization. Ring signatures make payments untraceable by grouping the public keys of several users together. If you encounter a ring signature signed with the public keys of Jeff, Gary, Carol, Judy, and Hannah, you can only claim that one of them was the signer but you won’t be able to establish the exact identity of the signer. One-time keys make transactions unlinkable by creating multiple unique one-time keys that are derived from a single public key for each p2p payment. creates special anonymous markers with each transaction called key images that are used to prevent any double-spending attempts. All users keep a list of used key images like a history of valid transactions. The use of one-time keys for every transaction coupled with the uncertainty created by ring signatures makes the Bytecoin blockchain resistant to analysis. In addition to using the CryptoNote protocol, Bytecoin also implements a unique proof-of-work algorithm called CryptoNight that was developed by the Bytecoin developers in cooperation with the CryptoNote team. CryptoNight makes CPU and GPU mining equally efficient and restricts ASIC mining to give everyone a fair chance. Bytecoin has been accused of being a scam for two key reasons. First, no one on the development team is a known entity. The Bytecoin website has a list of developers, but no one knows who they are, their educational background, experience, or country of origin. Second, some users believe the developers mined 82% of the total available supply of BCN for two years before the “real” launch in 2014. These allegations are based on reports that the developers forged the dates on the coin’s whitepapers to make it look like Bytecoin received a fair release in 2012 without a pre-mine period. The Monero community is most vocal about this particular allegation. People’s opinions on the subject seem to be divided. The Bytecoin team isn’t the first to choose to remain anonymous. 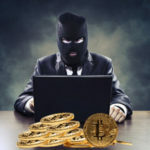 To date, no knows the true identity of Satoshi Nakamoto, but that doesn’t mean Bitcoin is a scam. Forging the publication dates of their whitepapers is much more suspicious, but the coin seems to be functional with a solid code base. The CryptoNote protocol it’s built on is open source and has been proven to be secure by cryptography experts. It is unclear why the developers chose to spoof the dates of the whitepapers, but there is no conclusive evidence proving Bytecoin had a pre-mine. Bytecoin can be acquired from several crypto exchanges, including Poloniex, Alcurex, HitBTC, Changelly, and Beatcoin. You can buy BCN using fiat currencies like USD, EUR, and RUB via Cryptonator, USD via Changelly, and AUD via Coinspot. 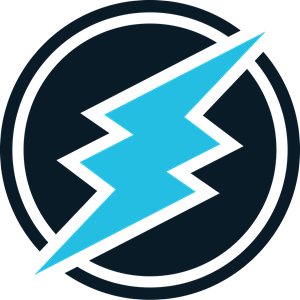 You can also mine BCN at several mining pools, including Eobot and MinerGate. Bytecoin has an official desktop wallet that is available on Windows, Linux, and MacOSX, and an official web wallet that can be accessed on any browser. The developers plan to release a mobile wallet for Android and Apple systems in the future. Bytecoin is also supported by Freewallet and Cryptonator. Even though Bytecoin has been around for a long time, it has had a lot of trouble taking off. The scam allegations certainly haven’t helped, but despite those rumors, BCN is still liquid and can be traded on various exchanges. The developers seem to be trying to regain the community’s trust. They have been busy in 2017 and even published a new roadmap for the coin. Whether their efforts will pay off remains to be seen.